various cultures represented in Sydney to be involved and to share their stories and backgrounds. We use the events as a means to empower and raise awareness around women's social, mental and health issues. 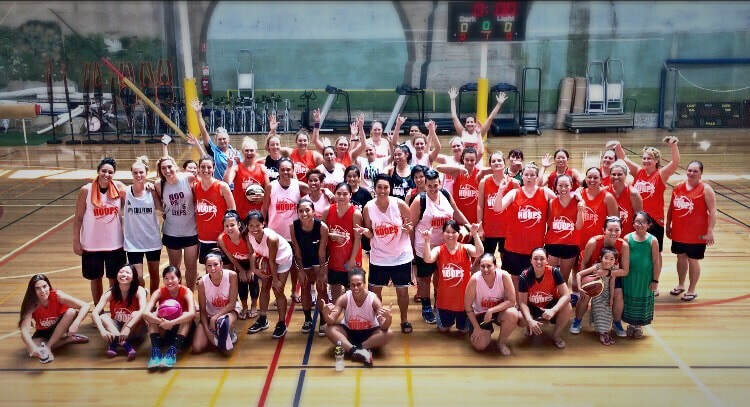 Each event is run with 24 women's teams; each with 4 players per team. If someone does not have a team we match them up with a team which is a great way to meet new people and form new friendships. On the day of the event, there is a Yoga teacher (who specialises in Women's Health) to help raise awareness around the importance of stretching before a workout. We have an MC and speakers from various social awareness groups that share personal stories about their struggles (for example, mental health or domestic violence). In addition we host 2-3 food stalls that are run by women refugees from war torn countries such as Ethiopia, Syria, Iraq and others. Exercise from basketball leads to increased fitness. This contributes to improved health and encourages civic participation which provides opportunities through teamwork to network and connect with others to create strong support systems. The combination of the exercise and building support systems is known to assist with improved mental health outcomes. The events also promote healthy eating and living. We also advertise local services of where people can find assistance for a range of issues including mental health & LGBTI to name a few. The events also provide mentoring to the youth which is also important for them to live empowered and healthy lives. Moreover, these events unite the community and create a positive atmosphere within our culturally diverse community. diversity and different backgrounds that represent the City of Sydney. In addition, the events empower women by highlighting a specific social topic that affects women's lives such as mental health or women's domestic violence. Therefore the participants become more informed about the issues that may affect their lives and as a result find solutions by approaching specialists. "It was a great day which felt very supportive. It could have been scary having never played 3x3 before but the mood was so positive and supportive all day." "It was a lot of fun. We were a beginner team and we felt very supported thanks to the positive vibes." "I love that all us girls have full rein of the courts - for the whole day. This never happens!" "Super well run and coordinated event, fantastic lunch options, good spacing of games, I had an absolute blast. I really enjoyed the comradery, the jokes and laughter, respect and competitiveness when it mattered." "It's great being surrounded by people who share the love of the game. And being able to support the younger geneation." "I loved being able to hang out with like-minded people, enjoy myself on court, and also watch more experienced players on court. The vibe was incredible, Jane’s MCing was A+, and it was all around a wholesome experience." "3x3 b-ball all day is my happy place. This event was super well run and seemed to go off on the day without a hiccup." 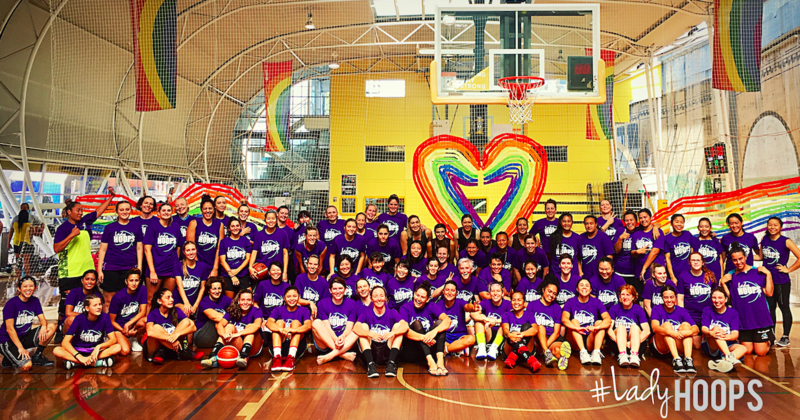 " I love seeing so many females from so many skill levels coming together to enjoy a fantastic day of basketball. Also loved the involvement from the local community and the idea to bring in community groups to cook lunch/do fundraising for their programs." Registration now open! Find out more here. Highlights, Results and what THEY said about the day.